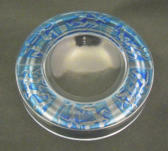 We sell a great selection of antique, less-old and new art, craft, ceramics, glass, jewellery, sculpture and silver. We are Lalique specialists (and York’s official stockist), offer a bespoke jewellery service, and additionally have rolling exhibitions of work by local artists. We’ve recently welcomed in the work of three new (to us) local artists … Kit Hemsley is a ceramicist from Leeds. She loves exploring clay to see what she can produce with it. Her Parian and porcelain work mirrors coastal textures, colours and forms, whilst her other work uses stoneware or Raku clay to create very tactile forms based on shapes from nature. These she burnishes, sawdust fires and waxes to give a very organic texture and patina. Julia Williams is another artist who loves experimenting and, together with texture and pattern, the one underlying feature that gives her satisfaction is the balance of light and dark with enough space left around shapes and lines to let them breathe and be seen. 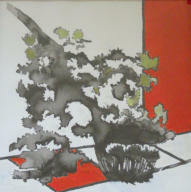 Tim Bos is a retired languages teacher, and is yet another artist motivated by trying out different media and techniques. Both Julia and Tim are based in York. Paul Dene Marlor was born in 1969 in West Yorkshire. He has always worked in the creative industry, studying graphic design and later running a design agency. 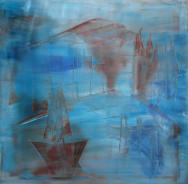 He predominantly paints in watercolour, a medium which he enjoys for its transparency and fluidity. He is a versatile painter and his work is varied including landscapes, seascapes, still life, wildlife and floral. “Although there can be a great amount of detail in some of my wildlife work, some of my landscapes can be quite loose and leave the viewer to fill in the gaps with their imagination.” In 2015 Paul was awarded SAA professional Artist of the year. 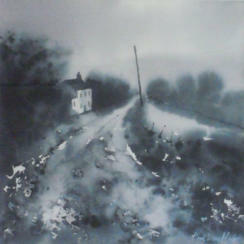 Our exhibition focuses on Paul’s landscapes and features scenes mostly from the Yorkshire Dales and Pennines, and includes some hauntingly beautiful and different monotone studies. The exhibition runs until 13th April. Aside from all the new art and ceramics talked about above, we’ve had other deliveries of some pre-owned diamond rings, another batch of Ailsa Matfin’s sea glass jewellery and some original pre-1945 Rene Lalique pieces (with more on the way). So hopefully something for everyone. 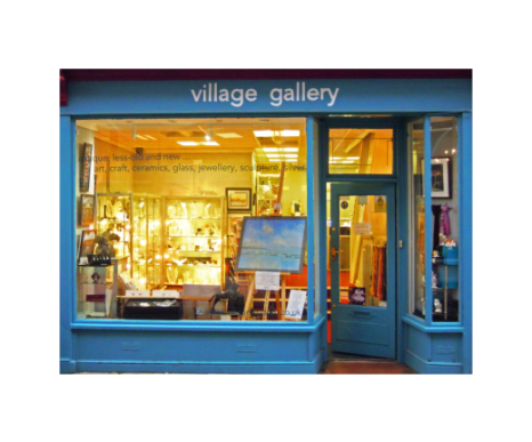 village gallery is open from Tuesday to Saturday, 10am until 5pm. Of course, you could just stay in and shop from your pc - our website is open for business 24 x 7. We know many of you are not able to just drop in to see the art and craft work, and all the other goodies, so we do try to keep our sister website village-on-the-web.com up to date with all the new offerings, not always successfully, but we’re pretty close at the moment. Even if you are more local, it might be worth a visit, as we have many more pieces that we don’t have space for in the shop. To browse through our stock, please visit our sister site at https://www.village-on-the-web.com. Don’t forget you can also follow us on Facebook, Twitter and Instagram - #wedounique. Sign up here if you would like to subscribe to our newsletter.